Right before I started writing this post, I took some time to skim through all my Weekend Cooking posts from 2017 and was happy to be reminded of all the good things that go on in my food life, from useful cookbooks to interesting documentaries and fun foodie novels. My New Favorite Cookbook. One of the best things that happened to me in 2017 was being invited to be part of the Abrams Dinner Party. I've really enjoyed having the opportunity to share some truly good cookbooks and recipes with you (here and on Twitter and Litsy), and I've also liked getting to know the other dinner party participants. We've been having fun sharing our cooking and baking experiences. As I was reviewing my year in food posts, I realized I never wrote about my new favorite cookbook, The Dinner Plan by Kathy Brennan and Caroline Campion. I discovered this book as part of the Abrams program, and although I've tweeted about the book on several occasions, apparently I never mentioned it on my blog. Take a look at the photo above and you'll see how many recipes I have marked to try. One of the other Abrams Dinner Party participants says she's on a mission to make every single recipe in the book. Why do we love it so much? The recipes are close to foolproof, the flavors are spot-on, and the directions are easy to follow and use common ingredients. Plus, we love the focus of the cookbook, which is revealed in the subtitle: "Simple Weeknight Recipes and Strategies for Every Schedule." The Year Ahead. When I started the Weekend Cooking link-up in October 2009, I had no idea that I'd still be hosting all these years later. It's kind of surprising that I can still come up with a post every week, even after 423 Saturdays! One guideline I made for myself when I started Weekend Cooking was to try to keep it upbeat and fun. This means that I rarely write about books and cookbooks that were total duds for me; instead I focus on the books that have merit. Not every cookbook is for me, but if the recipes are solid and the other information is useful and accessible, then I'll review the book. I try to remember to include a "recommendation" line with every review, indicating the best audience for the cookbook, so you can make a decision about whether it may have a place in your kitchen. 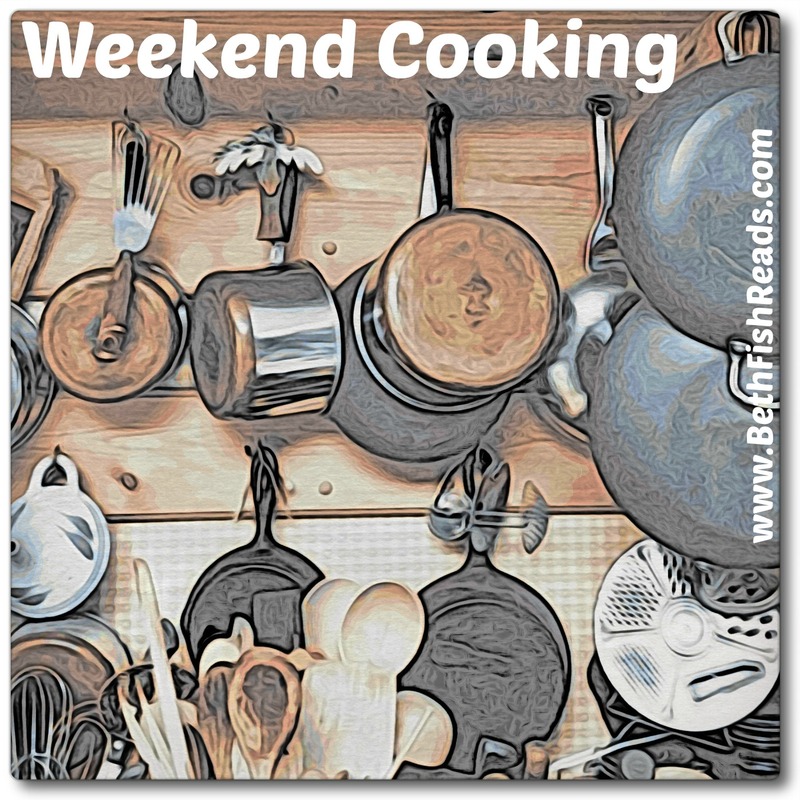 Is anything going to change here on Weekend Cooking? Nope. I like the variety of posts I write for the meme, and I love, love, love reading all the different posts you all share: photos, travel, reviews, recipes, chitchat, gadgets -- I look forward to reading every single one of your posts. Here's to another 52 weeks of Weekend Cooking! I hope you continue to share your culinary adventures and more with us in the year to come. Love the picture of all the stickies! I may have to check this book out, especially because of the "fast and easy" part. You make me realize two things: 1) I do very little planning and 2) cookbooks are for special occasions -- mostly I just follow my instincts. Like I put some mustard & garlic on lamb chops and broil them. Or use some leftover roast chicken in baked enchiladas with salsa and pepper jack cheese (if we feel like Mexican flavors for dinner). The only thing I do systematically these days is make lists of the items I run out of (using the iPhone Reminder app). Why? Because having the right stuff in pantry and fridge is how I can pretend not to plan anything! Your favorite cookbook sounds like another way to get to this place. Just found The Dinner Plan available for instant download via hoopla from my library. I'll be taking a closer look as I sip my coffee this morning! The Dinner Plan sounds like a winner to me! That does sound like a winner of a cookbook, I am off to the library today for pickups so I will see if this book is available. Love the photo of that puff pastry and. asparagus, I could dig into that beauty. I have been blogging for 10 years this month, sometimes I think I’ll retire it but I seem to be curiously addicted. It’s been a pleasure joining in with Weekend Cooking. I’ve gotten some great ideas for dinners, books and tips in the kitchen. I am glad you are carrying on. I have not commented much in the last year or participated, but planning to participate more. I just put The Dinner Plan on my wish list at the library! I love all your post-its in the book, I do the same, now whether or not I ever get around to them is another thing. I love Weekend Cooking. I don't participate in anything else. This is always so much fun. I enjoy your postings, and other bloggers' entries. I thank you for starting it, and for continuing. In these times when people are quitting blogging, it is so nice that you are still here. I think I first followed Tina of Squirrel House Manor here a couple of years ago and I really love your Weekend Cooking event and look forward to it each week and seeing what everyone posts. I'm glad you are continuing it. 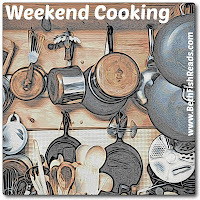 I'm thrilled that you plan to continue Weekend Cooking. It is one of the highlights of my week. Enjoy the New Year's Eve festivities and I wish you a glorious New Year! The asparagus dish looks delicious. It's easy to tell how much you love the cookbook. The bookmarks tell the truth. Thanks for sharing. I am so happy that you are planning to continue with this link-up in 2018. You've inspired me to try more recipes and share them on my blog (mainly for my own reference). I'm posting more than I have in years and I appreciate the nudge. :) Now to go find The Dinner Plan, which looks like a great cookbook (as if I need anymore! ).